This information is from the Unitarian Universalist Association. This resource covers the basic legalities of using copyrighted materials (hymns, readings, etc.) during worship services. 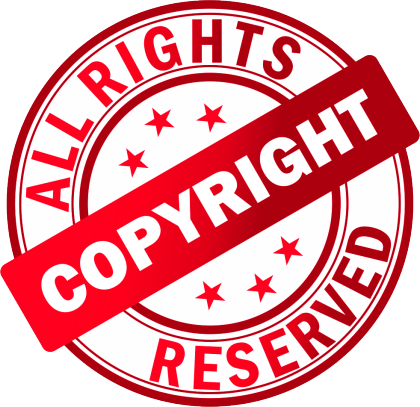 For information on reproducing copyrighted materials for purposes other than worship, please see Copyright Permissions in our Publications section. Whether you are an ordained clergy person with a three-year Masters of Divinity degree; a professional musician with a post-graduate degree and many years of experience; a professional religious educator with savvy, sensitivity, and training; or a lay worship leader with a good head on your shoulders—unless you are a copyright lawyer the issues surrounding copyright and worship are complex and often confusing. Aren’t churches allowed to do things that would be illegal elsewhere? Doesn’t everybody do it? Isn’t it just too hard and too costly to do things the right way? In addition to the legal ramifications of copyright infringement—and congregations have faced serious consequences—there are moral and ethical issues involved. The people who create the words and music we use in our worship have a right to be fairly compensated for their use—we would not consider simply borrowing the robe we plan to wear or the building in which we plan to gather. Following the copyright rules is a matter of respecting and honoring the inherent worth and dignity of the people whose creativity we benefit from, and in some cases of doing our part to ensure that they can keep a roof over their heads and food on their table. Isn’t that worth the effort? That said, copyright law is quite complicated and tremendously nuanced. Change one seemingly minor element in a given scenario and the law may be applied differently. Therefore this website should in no way be construed as giving legal advice. Consider it as giving general guidelines and seek specific answers to more specific questions if necessary. Now say that you want to enhance the worship experience for folks and include that reading in your order of service so that everyone can read along. Or you don’t have enough hymnals, so you’d like to include the words of the hymns (and maybe the music, too) in the bulletin. Or you want to make extra copies of the anthem for the new members of the choir. For all of this you will need permission—if you’re reproducing the words, you need permission of the copyright holder of the words; if you’re reproducing the music, you need permission of the copyright holder of the music. Are instrumentalists allowed to copy pages of music to avoid/and or ease page turns without obtaining permission from the copyright holders(s)? When teaching a song by rote, can one distribute lyric sheets for review outside of rehearsal without obtaining permission from the copyright holder(s)? Can one copy a song and take it home for review without obtaining permission, if the copy is made from a legal copy owned by the church? Is it legal to print lyrics in the Order of Service without obtaining permission, if the church owns an equal number of copies? Since hymnbooks are frequently shared, can the church print lyrics in the Order of Service for twice the number of legal copies owned by the church? For UUA gatherings where legal copies of music are not present—District Events, Youth CONs, etc.—can lyrics and/or music be printed or copied without permission? Unfortunately the answer to all of the questions but the first would be, “No.” All of these are violations of copyright law. Simply put, making copies without permission of the copyright holder(s) is virtually always a violation. The issue of making copies to ease page turning, however, falls into something of a “gray area”—a few measures would probably be no problem, but to copy the whole piece to set it up accordion style might be an issue. This would seem to fall within the “fair use” exemption in section 107 of the copyright law and could be argued either way, depending, it seems, on the amount of the piece being copied. Another question that is asked repeatedly is whether you can make a copy for projection during a service—of a hymn, for instance, or an image from a book. The good news is that as long as you own a legal copy of the book from which you’d like to take the image that want to project, and you’re in your sanctuary (where the legal copy resides) you can make a copy of the words and/or music (if it’s a hymn) or the image (if, for instance, it’s a storybook) and can project it without needing to ask for any other permission. Some congregations have found in this a solution to the challenge of seeking permission every time they want to include the words and music to a hymn in their bulletin—they simply make one copy and project it for everyone to see! And some religious educators have found it a great way to have everyone see the pictures in a book they want to use for the Story for All Ages. Where things begin to get thorny—and beyond the scope of a simple one-page website—is when you take your congregation’s worship experience beyond your sanctuary on Sunday morning. Many congregations now routinely videotape their services, some posting these videos on their websites or broadcasting them on their local community access cable channels. Others podcast, making digital audio recordings which they post to the Internet for anyone to hear. And all of these represent potential copyright infringements because they all are, essentially, examples of republishing. Exceptions are made in the copyright law for what we do within the walls of our sanctuaries on Sundays, but once we move beyond those walls those exceptions fade away. That poem we read to set up the sermon is now being “republished” to the web or being “performed” on our podcast, and for that we need permission. The hymn we sang as an expression of our community in our house of worship is now being performed when the video is posted to YouTube and, so, we need permission. And these permissions can be a lot more difficult to obtain. What’s a Congregation to Do? More detailed information can be found in a 2007 memo prepared by UUA counsel in response to questions from the UU Musicians’ Network about how to legally use copyrighted music in worship services (PDF). You might also Google “Copyright” and “Church” and “Music” and see what comes up (Church Music Publishers Association, for instance, has a very informative FAQ). If you have specific questions regarding UU musical resources, see this FAQ (PDF). If you have other questions, you may always contact the Office of Worship and Music Resources for assistance. There are also several organizations that sell licenses which cover, for an annual fee, permissions to show movies (Church Video Licensing International, for example) or which cover mainstream hymns, including some, but not all, of the music in our hymnals (LicenSing and Christian Copyright Licensing International are examples). The UUA is exploring such options and, as yet, there do not appear to be any that would meet the needs of our congregations sufficiently that our staff feel comfortable recommending one organization over another.